At the beginning of the new year, many of us wish to prioritize weight loss to promote overall good health. One way to accomplish this may be to adopt a largely plant based diet and gradually cut back on animal food sources. This doesn’t necessarily mean you need to follow a strict vegan or vegetarian diet. In fact, the Mediterranean diet or the Flexitarian diet fit nicely into this picture. The idea is to incorporate whole, unprocessed foods with a larger emphasis on plant sources, such as vegetables, fruits, beans and legumes, whole grains, nuts, seeds and healthy fats. With organizations such as the Mayo Clinic and the Dietary Guidelines Advisory Committee (DGAC) advocating the health benefits of this eating plan, many are taking note. Studies show that a plant based diet is easier to follow long term than a calorie restricted diet, and that weight loss can be achieved without calorie counting. What is takes is a commitment to make the dietary changes necessary to consume vegetarian meals more often, which may naturally result in fewer calories overall. Many of us find it difficult to self-monitor our caloric intake long term. The tedious calorie counting aspect of dieting can essentially be eliminated by simply loading your plate with freshly steamed veggies and substituting a handful of nuts for a snack and a piece of fruit for dessert. The biggest challenge of a mostly plant based diet is not the worry over sufficient protein intake. It’s more the increased time it may take to prepare meals and the realization that the diet involves more than eating sprouts and lettuce. You’ll need to eat a variety of clean, colorful, whole, unprocessed foods daily to cover your nutritional bases and you’ll need to forgo processed foods, junk foods and high calorie sugary foods and drinks. So, how does this diet aid weight loss? For one thing, fiber. Foods rich in insoluble and soluble fiber, such as fruits, whole grains and vegetables, help you to feel satiated so you are likely to eat less. Fiber helps to regulate the pace of digestion and the release of nutrients into the blood stream, which directly affects blood glucose, insulin release and the key hormone leptin, which signals your brain when you have satisfied your hunger. As an added bonus, fiber keeps your gastrointestinal system on track and, according to the American Cancer Society, reduces the risk of various forms of cancer. Adding more vegetables and a few meatless meals each week naturally reduces your caloric intake. Focus on non-starchy vegetables like leafy greens and cruciferous vegetables such as broccoli, cabbage and Brussels sprouts, which have a higher nutrient density. Filling your tummy with veggies and high-fiber plant protein doesn’t leave much room for high calorie, less nutritious foods. Research shows that we eat approximately the same volume of food each day regardless of the calorie content. Filling up with lower calorie foods is crucial to a healthy and more sustainable weight loss plan. There are many creative ways to include additional vegetables in your diet. Veggies can be steamed, sautéed, stir fried, roasted or grilled. You can snack on raw veggies and add them to soups, salads, smoothies, sandwiches, omelets or pasta sauce. To help you reach your weight loss goal, fill at least half your plate with vegetables and fruits, and when dining out choose a vegetarian meal. Challenge yourself to try new vegetables regularly and keep a variety of fruits and sliced raw veggies handy for those snack attacks or after dinner munching. Healthwise, getting your recommended allotment of a minimum of five fruits and vegetables daily may be one of the most important changes you can make to improve your diet. By eating more produce, you up your nutritional intake of vitamins, minerals, antioxidants, fiber and phytochemicals and lower the risk of developing chronic disease. For an easy way to aid weight loss and improve your nutrition, try adding a serving of fruit at breakfast, have one serving of fruit for a snack and add two servings of veggies at both lunch and dinner. Power Greens® Premium Berry by NuMedica – This blend of great tasting greens and superfoods contains only the highest quality, fresh fruits and vegetables selected for their nutrient-rich properties. This formula contains certified organic whole foods, plant extracts, antioxidants, fiber, digestive enzymes, adaptogenic herbs, pre and probiotics and immune boosting polyphenols. This gluten, dairy and soy free, vegetarian formula is available in a variety of formulas including Chocolate, Espresso, Mint and Strawberry Kiwi. EssentialGreens™ Powder by Designs for Health – Packed with an abundance of organic fruits and vegetables, this phytonutrient-rich product provides a tasty way to get your daily dose of comprehensive nutrients, alkalizing grass juices and natural polysaccharide prebiotic fiber. Gluten free, Non-GMO formula. Nourish Greens™ (K-67) by Apex Energetics – Prepared in a base of Non-GMO, high-yielding pea protein, this advanced phytonutrient formula incorporates tropical fruits, chlorophyll-rich vegetables and spices. 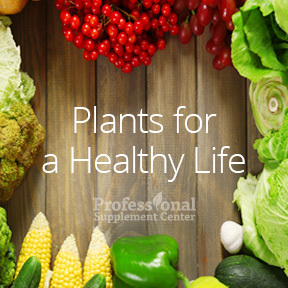 Phytoganix by Metagenics – This USDA certified organic formula provides highly nutritious superfruits, vegetables, polyphenols, herbs and fiber in support of optimal health. Gluten-free, vegetarian and Non-GMO formula. This entry was posted in Home and tagged EssentialGreens™ Powder by Designs for Health, Nourish Greens™ (K-67) by Apex Energetics, Phytoganix by Metagenics, Plant Based Diet, Power Greens Premium Berry by NuMedica, Professional Supplement Center, Vitamins and supplements, www.professionalsupplementcenter.com. Bookmark the permalink.